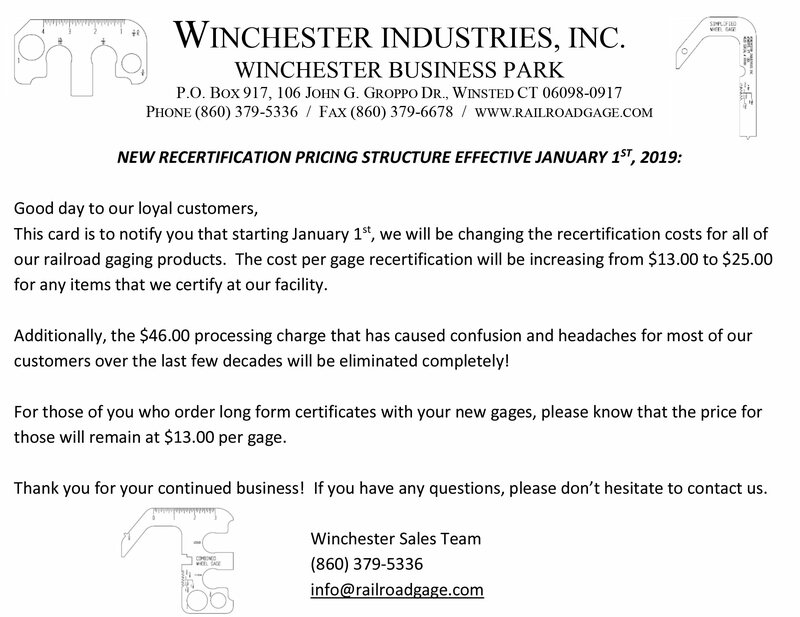 Welcome to Winchester Industries Inc.
Winchester Industries is a manufacturing organization whose principle product are gages for the Railroad Industry. Our principle service is the certification of gages for the Railroad Industry. From Rule 1 to M-214 to our entire gage list. This is the place for you! Check here for what you are looking for. If you don't find what you need give us a call or drop us an email! Check here for new products or improvements to existing gages! Leave us feedback on what you might like to see. Here is a snapshot of our business! Just the basics!